I live in India. And over the last year, I have been doing a research project on Menstrual Hygiene over the last year, as a part of the Indian Council of Medical Research. While it did confirm what I knew already, it did give a few newer ideas. However, the question that haunts me the most is, why are men never involved? Men are family, employers, colleagues, friends, professors, the architects of the buildings we live in. They are our other half. How and why are they in the dark about a crucial life process? 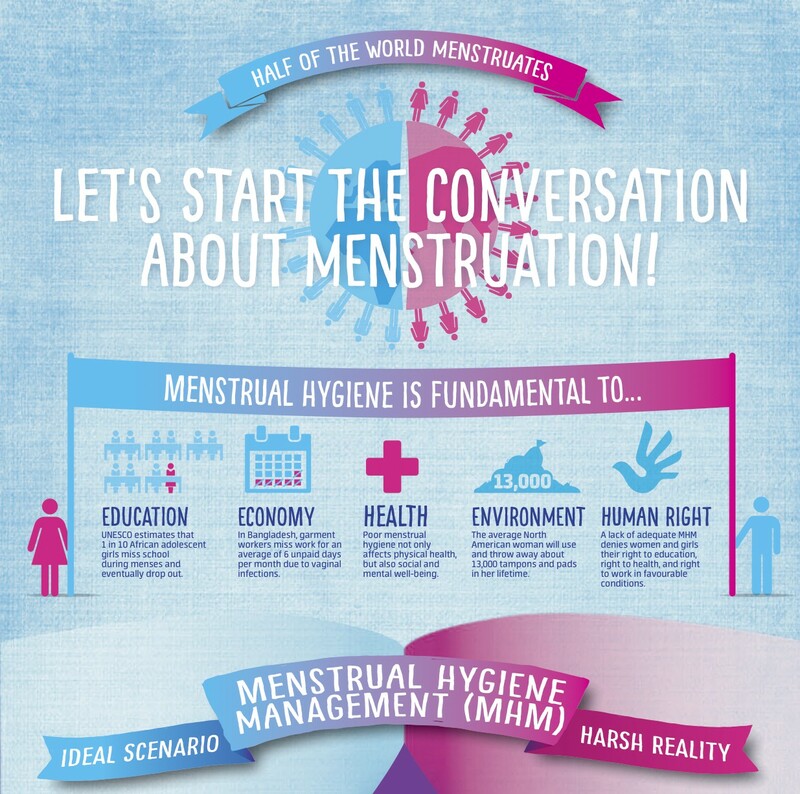 Why aren’t they helping us go through Menstruation safely? Why do our women not have the required amenities in workplaces and schools? Why don’t our women have economic independence enough to get themselves sanitary napkins? Why aren’t we getting medical attention before we end up with anaemia, infections or infertility? Why don’t our colleagues and employers understand when we suffer from terrible cramps, that we need a day or two off almost every month? Upon much pondering, what I found out was that women too are responsible for men not knowing. There is a sense of shame ingrained so deep that women never let men know that such a process even exists. From shopping for sanitary napkins wrapped in black covers to criticising any curiosity, from a young age, women are, very effectively, cutting away their chances for a better future. And men who do know about Menstruation are held back by the same sense of shame. But men who know are already making a difference. A huge difference. There are NGOs, factories that make affordable sanitary napkins, blogs to educate people about Menstruation, all initiated and run by men. So, all we need is to break a few barriers. All we need is some courage. All we need is some love. For ourselves. I am twenty two years old. I am a medical student. But, I hadn’t met death until six months ago. I was in the Emergency Room. I had just started my internship. I was on the night shift. It was almost over. Just two hours of it left. Then, a gurney rolled in. The person on it was motionless. Covered in a grey blanket.I hurried, as usual, to check the pulse. The hand was cold. It was a man. Still in the prime of youth. Muscled body. Yellow skin. We did an Electrocardiogram. There were no waves. It was flat. He had gotten drunk the night before. He had gone to bed. Knowing he would wake up next morning. But he never did. I had seen dead people before. In fact, a medical student’s life begins with a cadaver. It’s such an irony. For us, the dead mark new beginnings. It never shocked me. We spent around three hours everyday for an year with these dead people, talked about our crushes, parties, grades. Maybe, it was because we knew they’d be there. Or maybe because the formalin makes them look less life-like. Shrunken, like withered flowers. Then the next year, we went to the mortuary for the Forensic medicine classes. It shook me, the night after the first day. There was no formalin to protect my senses this time. But still, it was unreal. The forensics expert made notes with a straight face. The police didn’t look harried. The cameraman was probably thinking about his tea break. I remember, on one particular fine, sunny afternoon, me and mother were walking down a road. There was a funeral procession coming our way. My mother held me close and covered my eyes with her hand. She had forgotten that two years into my undergrad course in Medicine, I had seen death. I had only seen it. But, this particular time in ER, which I was talking about is singular at so many levels. I was alone. I was in charge. There was nothing that I could do. He was brought dead. He didn’t stand a chance. 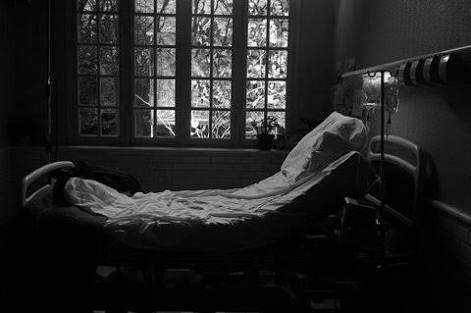 I had felt death with all my senses for the first time. There was an eerie silence around. There were no feelings. I had read the word ‘death’in my texts hundreds of times. Written it in my papers a hundred more times. Little did I know that feeling it was altogether, a different experience. My work doesn’t allow me to mourn death in public. I can only brood on it in private. I can only be awed by its power. It’s dark sorrowful beauty.